Unleash your inner musician with the Digital Music Production course. Course participants will have the opportunity to work with one of the industry’s leading Digital Audio Workstations (DAW), Ableton Live. Whether you are a budding producer or complete novice, this course enables each person to build on the skills they have already, while benefiting from working with your peers in a fun and relaxed environment. 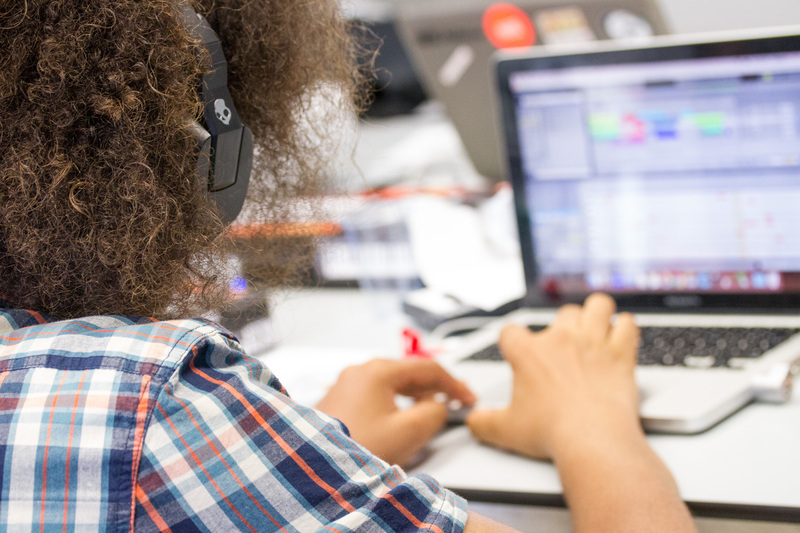 Fire Tech provides the opportunity for young people to explore some fantastic software and make their own slick and professional music. With the combination of digital music theory and technology skills, kids should leave understanding how music is created and assembled and know how to do it themselves! We aim for our campers to be inspired and create something that is meaningful for them. A part of the course is devoted to using the physical environment to create sounds and musical instruments (think human drum kits and paper pianos). You can read our Music Blog Post to find out more about how this worked out at one of our Digital Music Production camps. At the end of the course students will publish their work so that the world can hear their achievements! Check out Fire Tech Camp on Soundcloud to hear some of our previous campers’ tunes. While other music experience can enhance your creations, you can use libraries of loops and beats, which means that no prior musical experience is necessary. Q Is this a 1-day course? How many hours unit please? A Hi there, our Digital Music Production course is a 5 day course running from 10am-4pm For more info please call us on +442071934002, thanks!